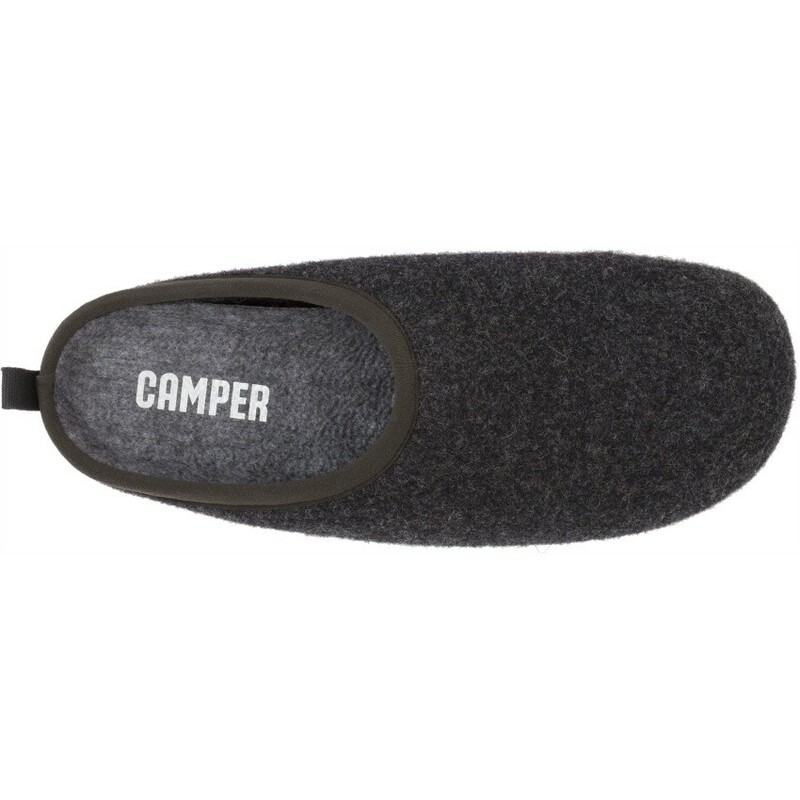 Camper Wabi Mens Grey Slipper 18811-033 Classic Camper slipper with a vintage feeling. Organic, warm and comfortable, with a special wool lined anatomic and removal foot bed that gives that thermal insulation needed on those cold winter days and nights. 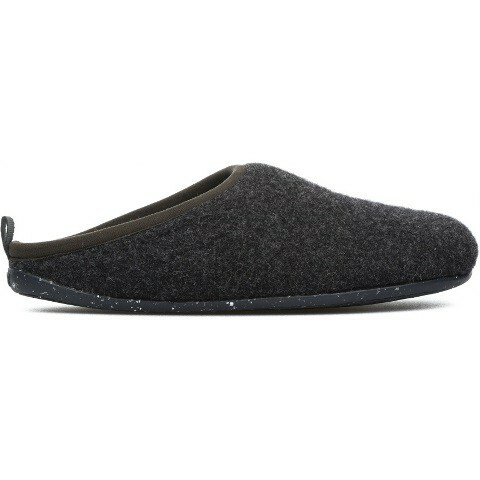 The stitched recycled rubber out-sole gives protection for any quick trips outside. Natural woolen upper.